Cargo, originally uploaded by [Zakkaliciousness]. Her basket was filled to overflowing. Who needs a taxi when you have a bike? This site is going to make me go to Copenhagen one day. Keep up the good work. I third that! 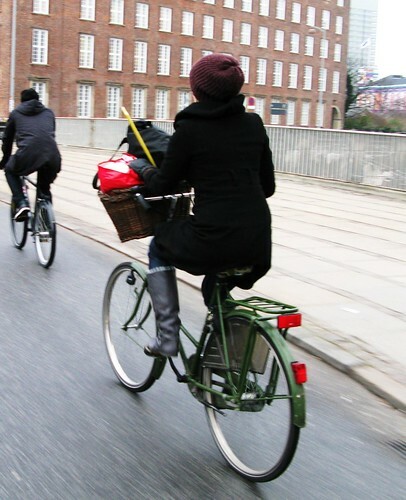 Copenhagen risks getting mighty crowded all because of one man's Blog! somersetbiker... my wife - a designer and stylist - can confirm that red is , in fact, 'in' this winter.